Wednesday - The workout above - 100 calories and it took me 20mins, adding the 5 reps each round. 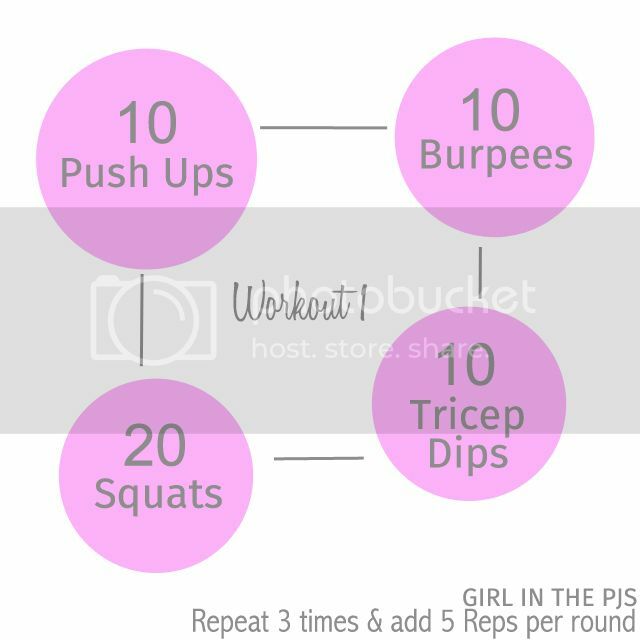 Burpees are HARD - ugh. Then I did these yoga poses for office workers. Friday - Yoga poses to boot metabolism - The poses were great but I found this website to be too clunky, having to click through all the images, so I won't be doing these again. Also I don't really believe that the poses will boot your metabolism, I just like the stretching. I also did these stretches to loosen your hips & the yoga poses for office workers.